Explore Jordan Blog: Why we risk it? the reasons for taking high risk actions. Why we risk it? the reasons for taking high risk actions. An interesting article on fox news under the name “New research shows what motivates people to do high-risk activities” was the motivation for me to write this post. The study that was conduct to investigate what pushes people to do Adventure Sports which involve a high risk factor, risking losing their own life. I quoted most of the article but added my comments to it. The list of adventure sports is growing longer and longer, and the risk factor is even going higher. 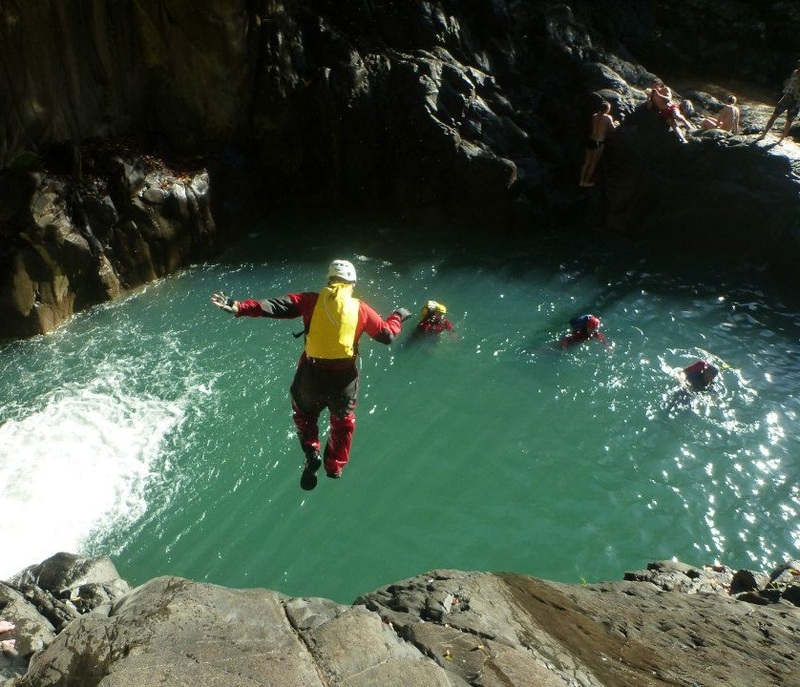 It is believed that all these adventure lovers and thrill-seekers are just sensation-seekers with the tendency to pursue sensory pleasure and excitement. It's the trait of people who go after novelty, complexity, and intense sensations, who love experience for its own sake, and who may take risks in the pursuit of such experience. Sensation seekers are "easily bored without high levels of stimulation," explains Sam Gosling, a psychologist at the University of Texas at Austin. "They love bright lights and hustle and bustle and like to take risks and seek thrills." This new study that was published in the Journal of Personality and Social Psychology, has found that risk takers are not all of the same ilk. Some participate in high-risk activities as a way of controlling their emotions and their lives. I believe there is too many reasons pushing people to take this high risks acts. But for many it is a journey to discover more about ourselves, surprisingly what I found after the year I spent in the African Savannas that by the time I was back I learned more about myself than anything else. The researchers from Bangor University in the United Kingdom did not think that the sensation-seeking stereotype applied to all risk takers, particularly those who take prolonged and challenging risks like mountaineering. Mountaineering is long and arduous, and doesn't necessarily cause that adrenalin-infused thrill. In fact, previous research has reported that mountaineers may engage in extreme risks to help rein in their emotions. Studies have found that mountaineers tend to fall short in the relationship department, have difficulty describing their feelings and have less of a need for intimacy than others. They also tend to feel a lack of control in their everyday lives. Some different studies also mentioned other reasons where to some people the benefits it the social prestige and image, the self-esteem boost seems to be higher than the likely costs. With being more and more involved with the cyber social communities and websites people started to give a bigger attention to their social prestige, and in a way showing off all to develop a better self-esteem which is based on the acceptance by others and their look to us. The seek for social acceptance have pushed many to attempt more risks to show to others that they can, the secrete of attraction works it magic because we are attracted to people with tendency to be having high self-esteem, able to achieve what they want, bring the happiness for themselves first and though be able to bring it to others and raise their values up. Out of all the other reasons I believe this is the reason for many of the people joining The Facebook Hiking Groups in Jordan, but in the same time it is an additional reason usually combined with other reasons. But this is making them to miss much of the real fun behind it. The study included skydivers, who tend to score high on sensation-seeking, and mountaineers, who don’t. It also included a control group of low-risk athletes. All of the participants filled out psychological questionnaires that focused on sensation seeking, the ability to moderate emotions, and “agency,” which means having a sense of control over your life. Skydivers reported a significantly higher need for sensation than did mountaineers and controls, demonstrating that not all risk takers are motivated by that adrenaline rush. Both mountaineers and skydivers reported greater emotion regulation and agency during their activities than did the control group. This suggests that risk taking requires people to control their emotions like fear, and themselves to control their fate. What was most surprising and revealing to the authors, however, was that people who engaged in high-risk sports believed life should be filled with these intense experiences and feelings. “Basically people who engage in the more arduous high-risk activities such as mountaineering do so because they have a higher expectation of what life should offer, or what life should be,” said Woodman. The study also found that this feeling of control over their lives and emotions spilled over into their everyday lives upon their return. “Mountaineers want to push the self to its limit in terms of experiencing emotion, and then managing that emotion in an extreme environment,” said Woodman. “We all likely have a degree of this in us; it is up to each of us to decide what constitutes our Mount Everest and engage fully with that challenge,” he said. “Any challenge that has personal meaning has an element of risk, so risk is not a dirty word. It is necessary for any meaningful endeavor – for each of us,” he added.